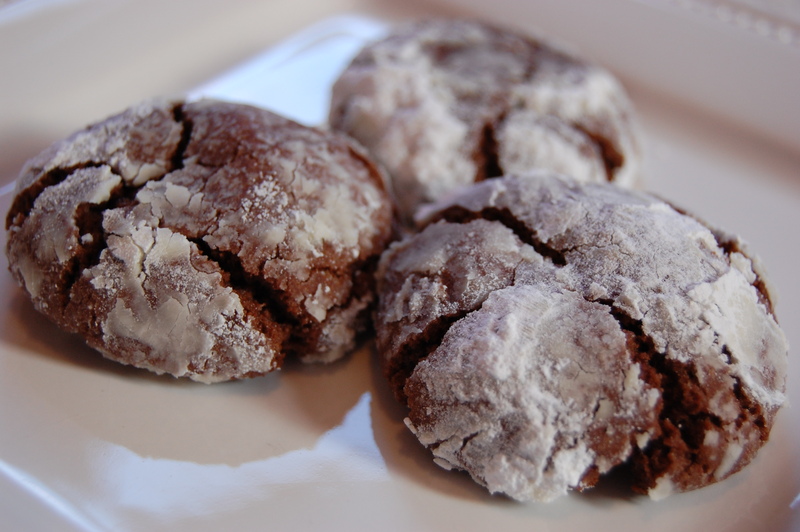 These cookies are a holiday staple at my house. They taste like little brownies rolled in powdered sugar. The best part is they are really easy to make and look impressive! Preheat oven to 350 degrees. In a small bowl, mix flour, cocoa, baking powder and salt. Set aside. In a large bowl, cream butter and sugar together for about 3 minutes or until creamy. Add the eggs and vanilla and mix until blended. Finally, add the flour mixture, a little at a time, until fully incorporated. Using a tablespoon, scoop out dough and roll into a ball. Roll the ball in the powdered sugar until fully coated. Place on a cookie sheet about 2 inches apart. Bake cookies 10-12 minutes or until they are puffed and begin to crackle. Cook completely. 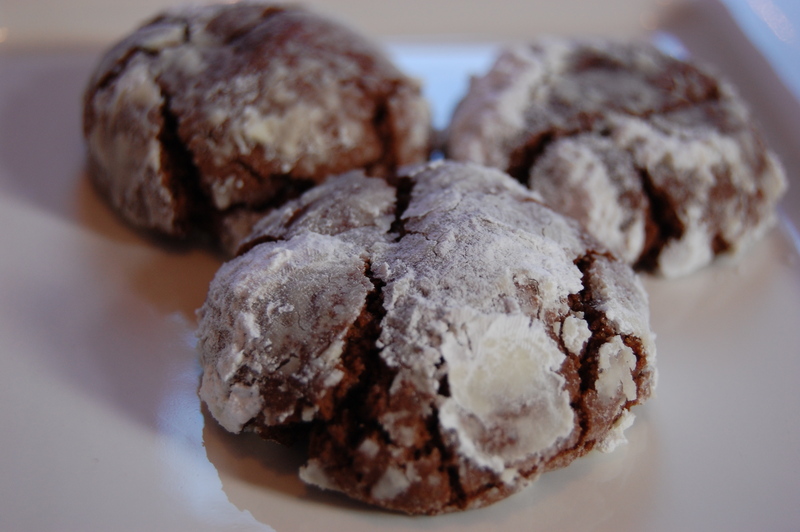 This recipe makes about 24 cookies and was adapted from Williams Sonoma. These were fantastic and so easy to make. Thanks! I was also pleased that my cookies turned out looking like yours. I also tried the almond m&m cookies. They were great as well, however mine didn’t turn out as pretty as yours! Thanks for posting this recipe! I lost my copy and spent over an hour searching on the internet for these. My grandma always called them cow pies!